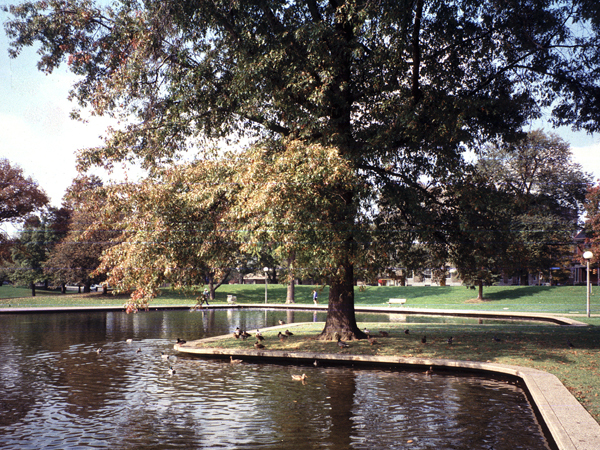 First conceived in 1868 as a pastoral addition to Allegheny Commons, in the early twentieth century this body of water was converted into a recreational lake that provided city residents with a place for swimming, boating, and skating. 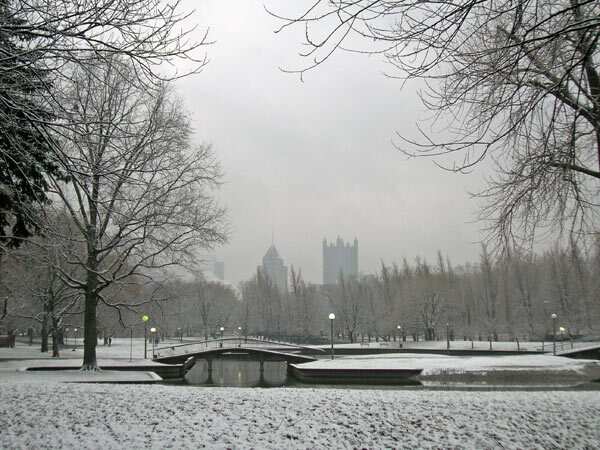 However, the over-used lake was drained in 1930 and became a dumping site for scrap metal during World War II. 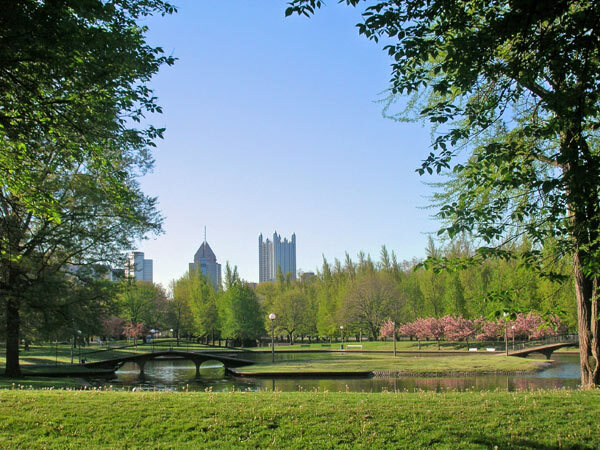 After the war, interest in revitalizing the downtown area resulted in the establishment of the Urban Redevelopment Authority, which hired the landscape architecture firm of Simonds & Simonds to redesign Lake Elizabeth, along with the greater Allegheny Commons, in 1966. 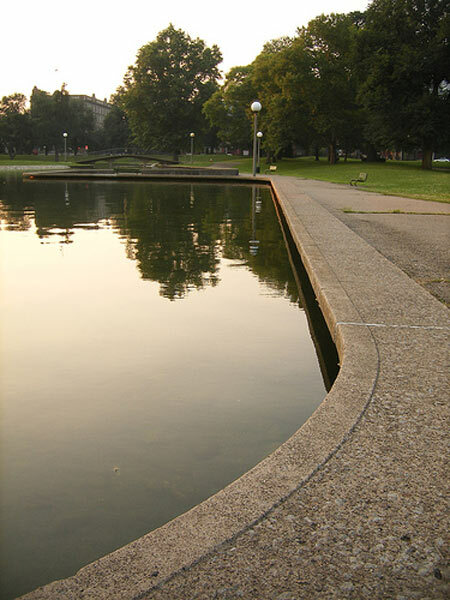 John Simonds designed a concrete-edged, trapezoidal water feature, combining a V-shaped lake with a fountain and a chain of rectilinear lagoons. Stream boulders were embedded in the concrete lake bottom and a pair of pedestrian bridges built to connect to the lake’s peninsular island. 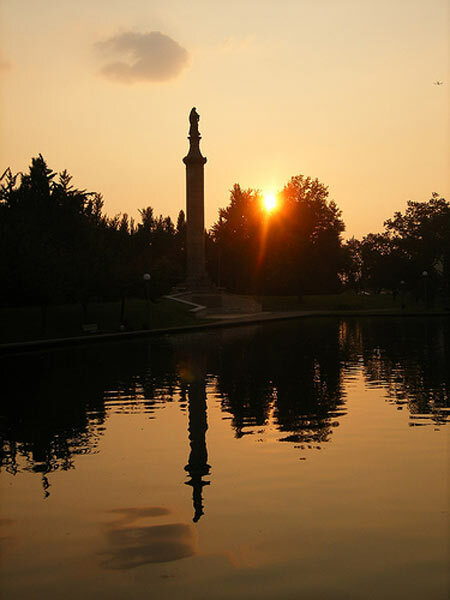 Simonds’ Modernist bridge sits immediately adjacent to the Soldier’s Monument, a Civil War memorial dating to the 1860s. 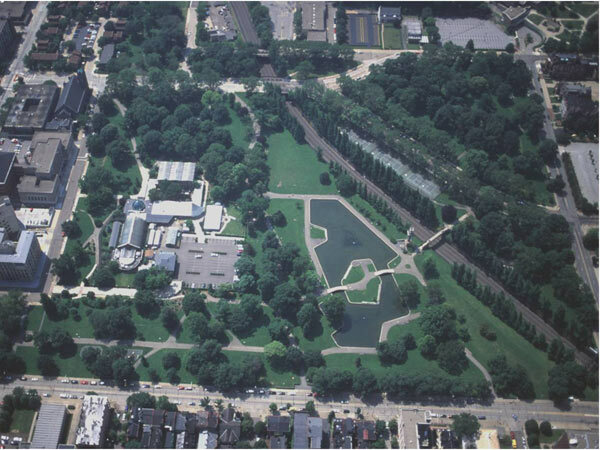 Only one phase of construction was completed in 1967, leaving unrealized the multi-level, interlocking pools, the island’s water jets, and the boathouse in Simond's plan. 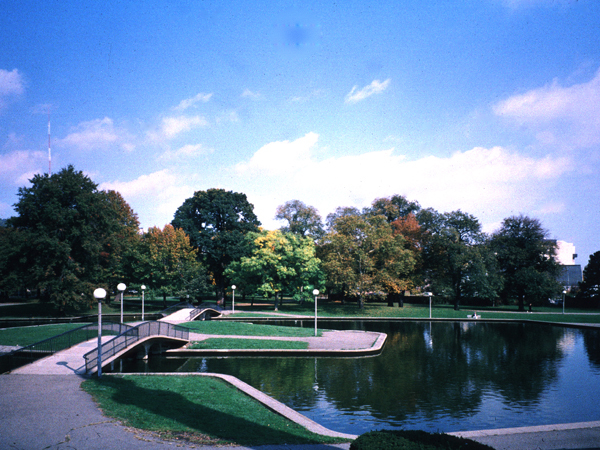 Years of deferred maintenance left the lakeside in disrepair until a consortium of community members came together in 1999 to preserve the park, forming the Allegheny Commons Initiative under the care of the Northside Leadership Conference. 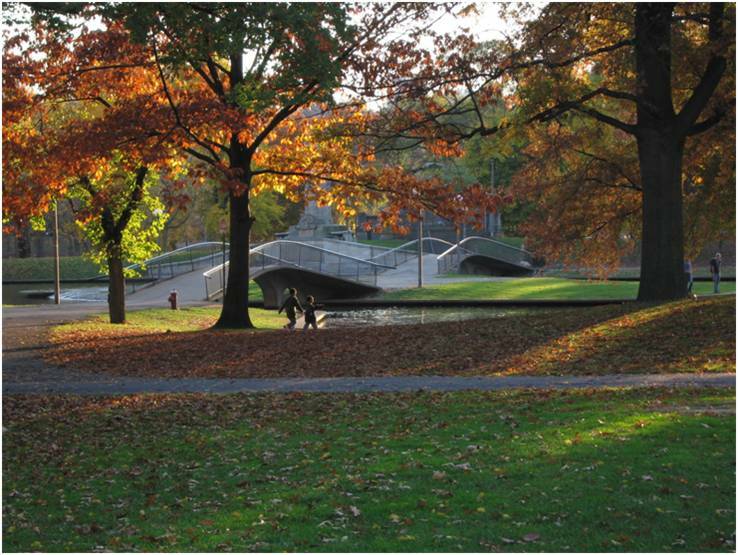 Pressley Associates produced a master plan in 2002 that called for the preservation of the Simonds & Simonds landscape and the restoration of the greater Allegheny Commons.